In honor of former Iowa State University basketball player Brian Pearson, who died of brain cancer in the fall of 1997, the Iowa Games began awarding the Brian Pearson Memorial Scholarship in 1998. Pearson knew the meaning of hard work and recognized the rewards of commitment. He valued the relationships he had with his family, friends, neighbors and teammates. People who were fortunate enough to know Brian use words like integrity, honesty and courtesy to describe his life.The intent of the Brian Pearson Memorial Scholarship is to recognize three individuals every year: two outstanding athletes involved with the Iowa Games (one male and one female), and through that process, Brian Pearson. One $1,000 scholarship annually will be awarded to one male and one female Iowan. Throughout the selection process, the degree of participation in the Iowa Games will be given consideration, as well as the applicant’s display of character. Citizenship, trustworthiness, respect, responsibility, fairness, caring, perseverance and sportsmanship are just a few of the values on which this award is based. Eligible recipients for the 2019 scholarship are those students who will be in their junior or senior year of high school during the 2018-19 school year. The award must be used in pursuit of post high school education. 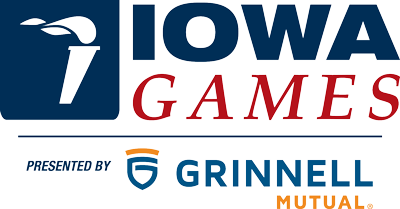 Winners will be invited to attend and participate at the Summer Iowa Games Opening Ceremony, in Ames, on Friday, July 19, 2019. Applications are due by April 8, 2019. This project is sponsored by Pioneer DuPont and is supported by The Skinner Foundation, Johnny & Romie Orr and Ron & Margaret Kenyon.